Style on sale. It all starts here! JANUARY 2 – 12 in stores and online. The Tootsies Takes Off Sale only happens once a season, so missing this luxury store’s biggest sale is a missed opportunity for both you and your closet. Designer and contemporary collections, dresses, sportswear, shoes, handbags, accessories, and jewelry marked up to 75% off is simply too good to miss. 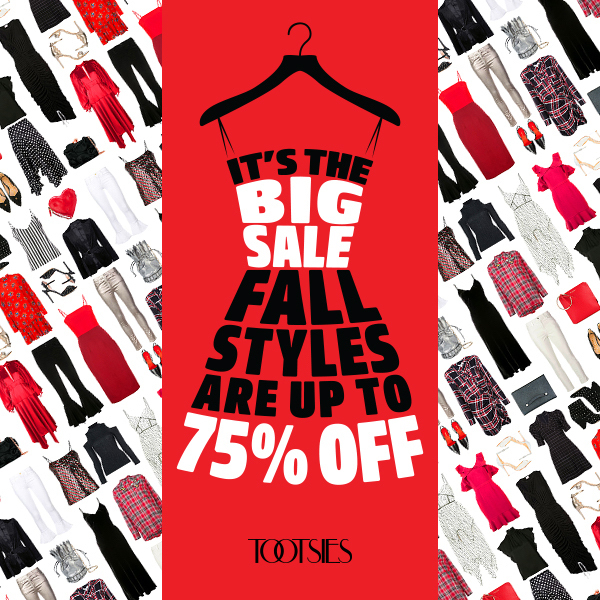 Expect seriously chic fall styles from all departments on sale for up to 75% off! Next: New Year, New You!